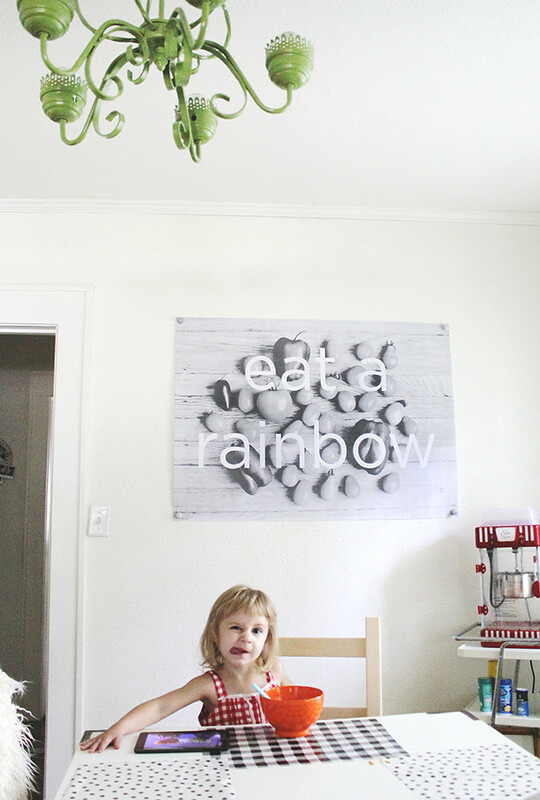 Also, I've been meaning to offer this "eat a rainbow" print as a download for a while now, so here you go! I took this file to my local Kinkos and asked for a blueprint copy, and I think this print ended up costing around $12. If you'd like to download it from my Flickr, just make sure you click the "original" size. beautiful kid <3 Love the interior! Beautiful dining space! What is this fabulous rug with roses! Where come it from? that picture of poe!! omg-- so cute! whats up ikea chairs. right? I love it--- mostly I love the floral couch, but theres no surprise with that one. 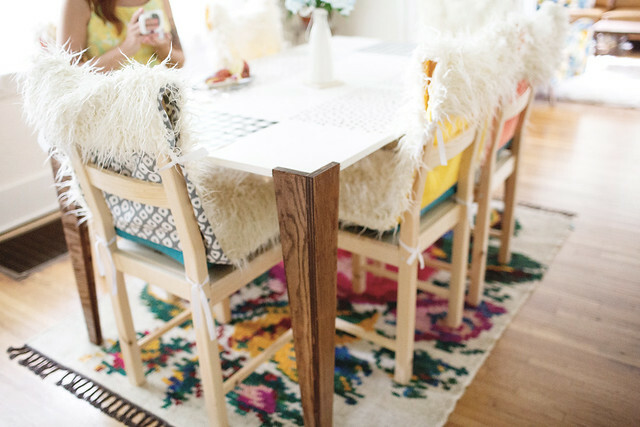 Your dining room is gorgeous, Katie! 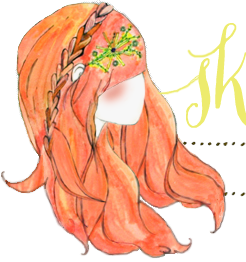 Seriously, your entire blog is like sunshine! And that print is just precious :) Thanks for sharing! love the eat a rainbow! thanks for sharing! I love the interior.. beautiful pics!! I love it!!! And Poe´s too cute. Love it! The print is amazing and I will definitely be downloading it right away! Thanks! I love this tutorial as well! I am loving those placemats as well! I recognize the fabric from Joann's. I work there so I recognized it, and the vinyl, right away. I suppose that that is a sign that I am there too often! HA! I have been eyeing the placemat fabric for awhile now but have been at a loss for how to use it! I remembered you using it for chair cushions as well when I saw it in the store. I will definitely have to pick some up next time I'm there because I love this!